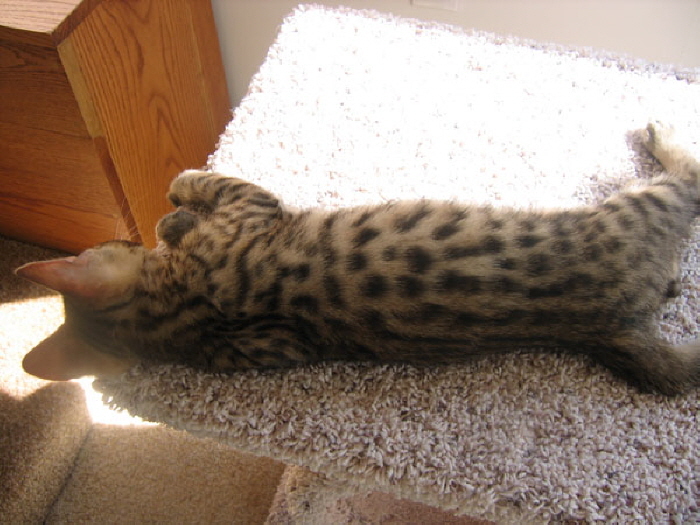 Savannah Cats and Savannah Kittens, Savannah Cat Breeder. Savannah Kittens for Sale. Savannah cats for sale. Only three months old in this photo, he was still a baby and sleeping most of the day.